CRM Manager – Giving Tree Associates, Inc. The Manager, CRM (Constituent Relationship Management) will serve as the organization-wide professional who is responsible for donor database management, reporting, training and documentation This candidate will help drive optimization all in an effort to evolve our work to maximize giving to more fully achieve our mission and vision.The successful candidate will have a strong background in database management and experience working in nonprofit institutions. The Manager, CRM will report to the Director of Development. At least three years of demonstrated success in nonprofit database administration. Background in Salesforce, Raiser's Edge, Little Green Light and/or Donor Perfect Online (preferred). Ability to analyze data and provide data-driven insights and recommendations. Extraordinary organizational and communication skills, with a meticulous attention to detail. A criminal and motor vehicle record which meets company standards. Verified legal status to work in the United States. Lead the build out of a new donor database platform, Donor Perfect Online in 2019. Manage the ongoing maintenance of the donor database and ensure its accuracy and integrity. Ensure that the donor database meets the ongoing needs of the organization through formal reviews. Develop and oversee new data entry procedures that ensure consistent standards for donor data. Train staff and volunteers (as required) on data entry practices, and provide the Development team with regular updates on data management. Drive monthly prospect review sessions with development team and update records as appropriate. Track donor cultivation and stewardship activities and provide updates to board, leadership and staff. Create mailing lists for campaigns and events; segmenting lists based on analysis and insight. Leverage and analyze data to provide insight into campaign effectiveness and future opportunities. Take on role in cash management process as necessary based on process set forth by the organization. Oversee financial reconciliation in collaboration with Finance to ensure all gifts and pledges are properly recorded. Track development department expenses against budget. Ensure accurate gift entry, appropriate acknowledgement of all donations, and approval of all matching gift requests. Regularly review and revise gift acceptance policy and gift entry and acknowledgement procedures, in consultation with the finance and the development team. Complete all mandatory new hire requirements and training as identified by KESHET’s training requirements within 90 days of hire and maintain courses and certifications as required. Maintain skills with computers, take advantage of new technology, learn new tools quickly, use technology to enhance job performance and increase productivity. Maintain current understanding of technical processes/equipment. Adhere to KESHET policies and procedures outlined in the policy manual, Employee Handbook, and other employee policies. 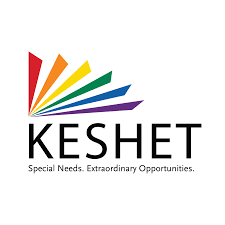 Complete other duties and responsibilities as assigned to ensure effective functioning of KESHET programming. NOTE: This position description is intended to indicate the basic nature of the position and to provide examples of typical duties that may be assigned. It does not imply that all employees within the position perform all of the duties listed, nor does it necessarily list all possible duties that may be assigned. Employee may perform other related duties as required to meet the ongoing needs of the organization.